The statement by Suhail Shaheen, the Taliban spokesman in Doha, via an exclusive video message to Associated Press on Wednesday saying they are not seeking a “monopoly of power” in Kabul could be regarded as the first real sighting of land in the insurgent movement’s uncertain voyage to a homecoming. He added pointedly that the Taliban want to avoid a return to the anarchy of the Mujahideen takeover in Afghanistan in the early 1990s. But what Shaheen didn’t say out of deliberation is far from inconsequential either – that the Taliban do not want a replay of the late 1990s. Simply put, Taliban are not seeking power all over again, only to remain an international pariah and be denied any international assistance to rebuild their country and put the ravages of decades of war behind them. No doubt, the timing of these remarks is significant – as US officials and Taliban representatives are about to set up “joint technical teams” to flesh out a broad understanding related to the withdrawal of foreign forces from Afghanistan and give underpinnings to the Taliban’s assurance to the US Special Representative Zalmay Khalilzad that Afghanistan will never be a revolving door for international terrorists. To be sure, Shaheen’s remarks suggest that the Taliban are holding a political compass to navigate their way forward and are clearly anticipating that the time for an “intra-Afghan dialogue” is just round another bend in the Qatar talks. It is no longer a question of whether there will be an “intra-Afghan dialogue”, but only questions about its substantive agenda. Of course, an intra-Afghan dialogue is predicated on a ceasefire, which will come under discussion when Khalilzad and his team sit down in Qatar with Mullah Baradar and his aides on February 25. Khalilzad’s words “Nothing is agreed until everything is agreed,” aptly sums up the state of play – namely, that there are still details to be sorted out. The main challenge is about persuading the Afghan government headed by President Ashraf Ghani to stop pretending that it represents the non-Taliban spectrum of political opinion in Afghanistan. Ghani seems to take his titular position far too seriously, whereas the representative character of his government, its power base and legitimacy have never been convincing. Therefore, Ghani’s insistence that peace talks be “Afghan-led, Afghan-controlled” and taken as one-on-one between his team and the Taliban is plainly unrealistic. There is an array of political and social forces in the country well beyond the pale of his influence and, ironically, if the Afghan polity is so hopelessly fragmented today, Ghani himself had significantly contributed to it due to his arbitrary exercise of power or ineptness, being a politician lacking popular support. There is no alternative to an intra-Afghan dialogue if the idea is to establish an inclusive, broad-based power-sharing arrangement. The Taliban are not seeking a redrafting of the constitution but might settle for some ‘tweaking’. The real issue is about power sharing – or, the calculus that comes out of the intra-Afghan dialogue. Indeed, the Taliban have an advantage to emerge as the political vanguard because it will participate in dialogue with a fragmented “opposition”. Quite obviously, the ‘Panjshiris’ who formed the backbone of the anti-Taliban resistance in the late 1990s within the Northern Alliance are themselves split into self-factions led by individuals with self-serving overvaulting ambitions, and no one could quite fill the vacuum left by Mohammed Fahim, who assumed the mantle of supreme military commander following the assassination of Ahmed Shah Massoud in September 2001. Put differently, the chances of segments of the present armed forces coalescing around a ‘Northern Shura’ or council – let alone a Northern Alliance – are to be discounted altogether. In this regard, the unique role that the Organization of Islamic Cooperation can play in providing a security buffer should not be overlooked. Curiously, the OIC has placed in Kabul as its envoy an extraordinary Turkish diplomat, Huseyin Auni Botsali, who has had excellent networking with the US and NATO and Pakistan and the Taliban, aside from other Afghan groups of the erstwhile Northern Alliance. Interestingly, Botsali’s first assignment in Afghanistan as the Turkish Charge d’Affaires goes as far back as the final years of the People’s Democratic Party of Afghanistan (PDPA) regime in the late 1980s when he used to be a riveting presence in the watering holes of the diplomatic quarter in Wazir Akbar Khan in a curfew-bound Kabul under incessant rocket attack from the Mujahideen. Incidentally, Pakistani Prime Minister Imran Khan recently visited Ankara and Afghanistan was a major topic in his discussions with Turkish President Recep Erdogan. Unsurprisingly, Ghani is nervous about his own political future and in remarks last week at Davos, he even hinted at a convergence of interests with Russia and India. But that’s an impossible stretch. Simply put, none of the regional states is striving to act as ‘spoilers’. The visit by the Russian presidential envoy on Afghanistan Zamir Kabulov to Pakistan on January 29 principally signalled that Moscow’s priority will be to ‘coordinate’ with Islamabad in future so that as ‘stakeholders’ in the security and stability of Afghanistan, Russia and Pakistan can work together to ensure that any political settlement will be enduring. Broadly, Iran’s approach is similar to Russia’s, too. In particular, the Taliban’s pledge to eliminate the scope of any extremist groups to operate out of Afghan soil itself raises the comfort level in Moscow and Tehran. As for China, it has consistently given open robust support to Pakistan’s efforts to reach a settlement. 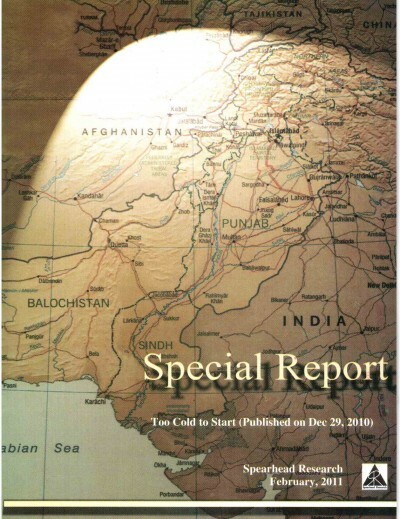 True, India has been marginalized, but it is almost entirely due to New Delhi’s obduracy to view the Taliban through the prism of India-Pakistan rivalries over Kashmir, and at any rate India has neither the political will nor the resources or wherewithal to undermine on the ground any settlement reached by the Americans at Qatar. The crucial thing in all this is that Pakistan is convinced about firstly, the US intention to withdraw forces from Afghanistan; secondly, Washington’s receptiveness to revive the relationship with Pakistan; thirdly, Islamabad’s awareness that continued engagement of the international community with post-conflict Afghanistan is necessary; and emanating out of the above, the realization that a broad-based, inclusive government in Kabul will be in Pakistan’s interest, too. Pakistan’s trump card is the Belt and Road Initiative projects that China proposes to introduce in post-conflict Afghanistan and dovetailing them with the needs of Afghan reconstruction. It involves regional connectivity and integration on a scale that enables Pakistan to optimally exploit its geography. The consequent paradigm shift in the Pakistani policies becomes the single most decisive factor in the Afghan settlement. Suffice to say, while the negative factors are being played up by the Doubting Thomases in the US who are not yet done with the Afghan war, or are deeply skeptical about the motivations of Pakistan and the Taliban, the likelihood of light emerging out of the dark Afghan tunnel should not be underestimated. Conceivably, as the Qatar talks move forward in the coming weeks or months, the ascendance of the positive factors at work will get noticed. Of course, the patriarch who makes this possible is none other than President Trump. But for his dogged obstinacy that the ‘endless war’ must conclude – and conclude now – such an audacious exploration of the frontiers of peace would not even have begun.